Long on raw talent and energy, rather short on polish: Spatial's debut shows potential. Poland's Spatial arrive with their 2014 debut 'Silence', released on Metal Scrap Records. Opening song 'Arka Chaotis' sounds at first like it could have been comfortably released in 1994, with its aggro, barked vocals, chunky low-string riffing, and hard-grooving drums. 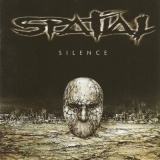 But it's not long before Spatial's ambition reveal itself, as the song and the album open up into a potpourri of influences ranging from classic Florida Death Metal, '90s Alternative, contemporary Folk Metal, modern Prog, and more, with vocalist Strzyga often soaring overtop with a rich baritone. Spatial is a band with a lot of spirit and enthusiasm for playing Metal of multiple varieties, and that makes 'Silence' a surprisingly compelling listen that, despite its pitfalls, isn't easily dismissed. 'Silence' is not an album that relies on repetition; cycling through about a half-dozen elemental bases – frequently Death Metal or Nevermore-esque modern melodic metal - upon which each individual riff, chord progression, and vocal statement is built. 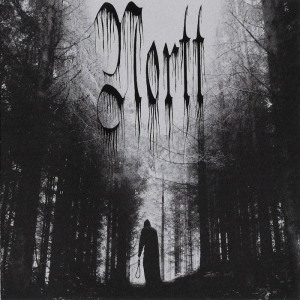 Steady rhythmic passages colored by Swedish Melodeath-style dual guitar lines abound, as do jumps between chords separated by wide intervals. It becomes clear with time that the same group of themes continually reappear in slight variation, which leaves the songs somewhat indistinguishable from one another. Some tracks seem to string the elements together more seamless way and the second half the album is noticeably stronger, with songs seemingly more cohesive (see especially the pair that close the album) and not so dependent on water-treading chord-strum sections. 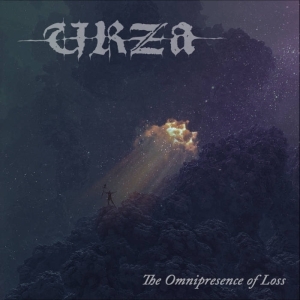 Strzyga's clear singing voice is a delight, and as a result of its increasing usage, 'Silence' gradually turns into an album that might appeal to fans of modern and heavy Prog Metal. At present, the songwriting and arranging skill is somewhere just past garage-level amateur and short of being truly professional. Ideas are plentiful, many of them promising, but the latter ones aren't as deeply explored or fully developed as they could be. 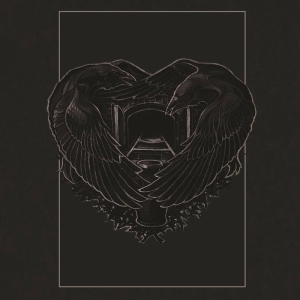 A slight overreliance on bouncy, Alternative-Metal-esque chugging that reappears especially during the album's first half casts an unfortunately-immature connotation, though I hasten to observe that Spatial stay clear of associated cliches. The talent is there – these musicians, especially guitarists Jimi and Kubek, know their way around a fretboard and put their knowledge of harmony to good use. From moment to moment, I'm reminded of bands such as Disillusion, Linear Sphere, or Into Eternity, and Spatial do an admirable job of drawing influences from these sources while sticking to the core feeling rather than outward ornamentation or replication of techniques (I get the impression that Spatial could easily have gone full Technical Metal, but restrained themselves). Spatial are a band that has clear ambitions of professional-level of respectability. While impressive in its parts, further steps forward need to be taken in musical execution to leave junior-status behind. But this is a band already displaying raw talent and energy to spare, and with more sharpening of the blades, Spatial could well grow into a lauded and recognized metallic force.